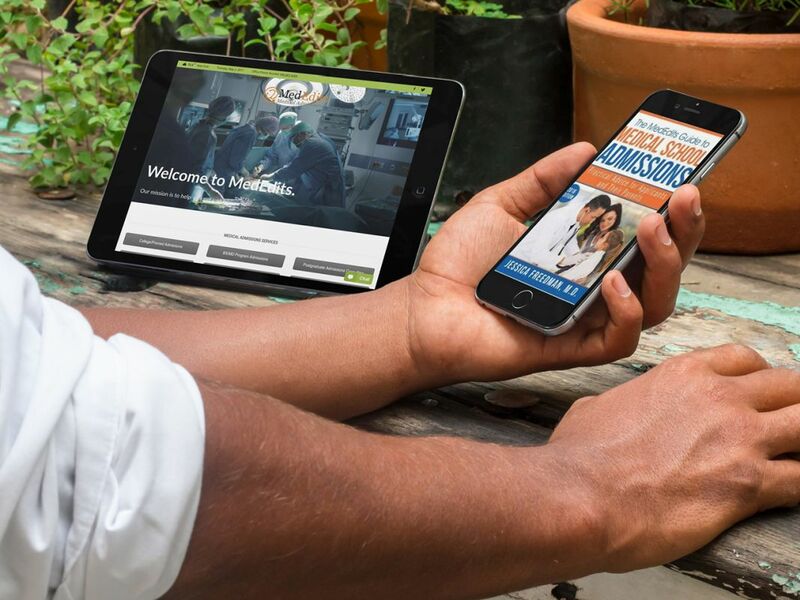 Have you already submitted your primary medical school application? Medical School Secondary Essay Editing & Mid-Cycle Packages are the best way to successfully progress through the application process. Most medical schools require applicants to write secondary essays that are specific for each individual school. Sometimes applicants underestimate the time it takes to complete secondary essays. We offer flexible options for secondary essay editing and mid-cycle packages since the word and character count limits vary from school to school. 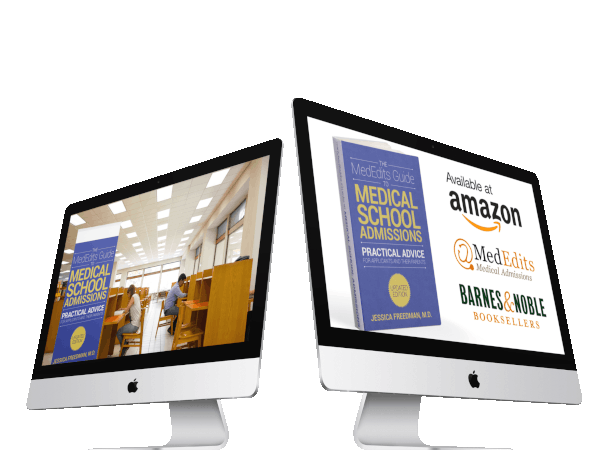 We can help you submit brilliant med school secondaries. Submit payment below. Click on the Add To Cart button (below) to pay via PayPal or credit card. Step 2: If your package includes an advising session, schedule your session here. Learn why MedEdits is the best medical school essay editing service. What are the major secondary essay categories? For example: why school X, example of working with a team (collaboration), the diversity question and others? 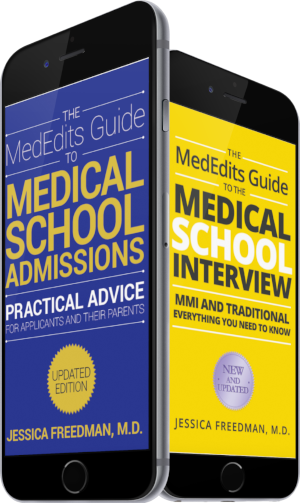 Learn why MedEdits deep understanding of the medical school admissions process makes it the best secondary essay editing service. Learn why MedEdits is the best medical school secondary essay editing service. Sign up for a FREE 15 minute consultation. How to write medical school secondary essays. Let’s create a plan to address these common secondary essay prompts. How do your medical school secondary essay service work? Secondary Essays can be one of the most daunting parts of the medical school application process. 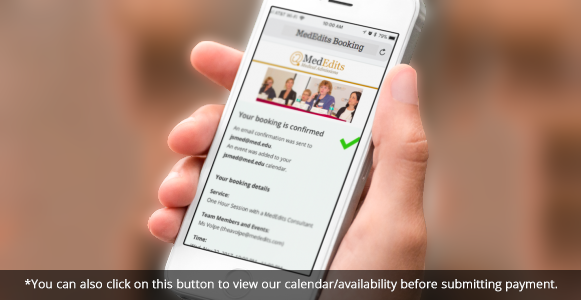 At MedEdits, we will help you get organized and be efficient while helping to showcase your ideas. 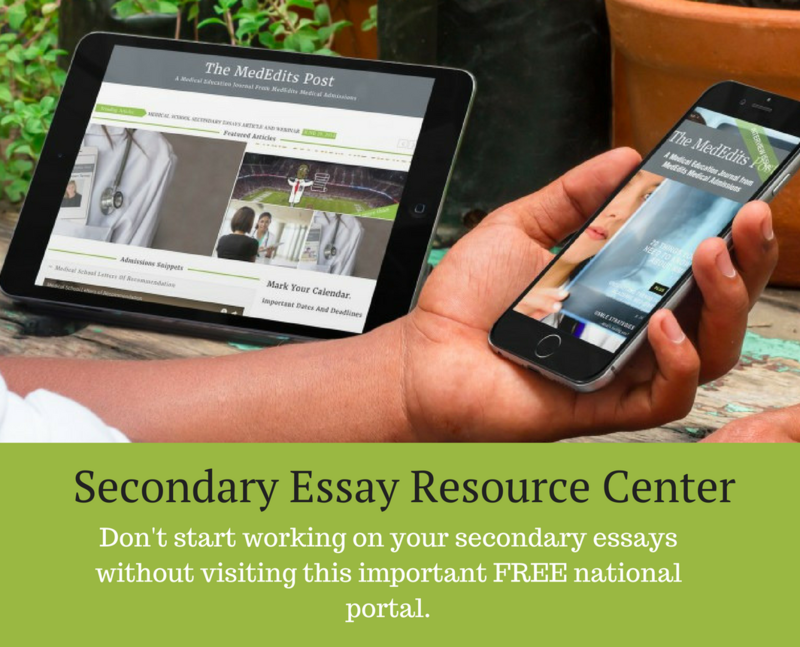 Use our secondary essay database, a list of all the prompts published by U.S. allopathic and osteopathic medical schools, to locate the secondary essay from from this year and past years. 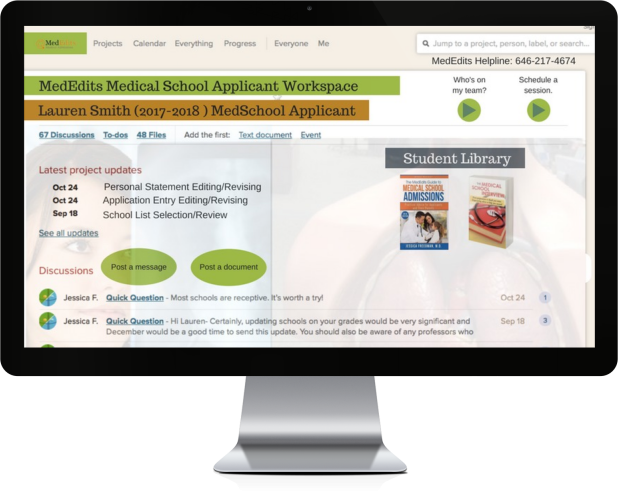 With so many medical schools requiring secondary essays, use the MedEdits secondary essay organizer located in your student portal to track your progress and stay organized. When purchasing a bank of words, either in a package or a la carte, you can keep track of how many words you’ve purchased and how many words you have left in your account. Your package includes 1200 words and you upload an essay to your workspace that is 300 words. We will edit this essay (up to three revisions) and you’ll have 900 “words worth” of editing remaining. Need more words of secondary essay editing? Not a problem. You will find a Client Only link in your account with discounted rates should you need additional secondary essay editing. Have a question about an essay? Post it to your dedicated MedEdits workspace. Secondary Essay Video Tutorial – Dr. Jessica Freedman, MedEdits founder and president, will guide you through the secondary essay process with directions and example responses. The one hour video tutorial is located in your student workspace account. 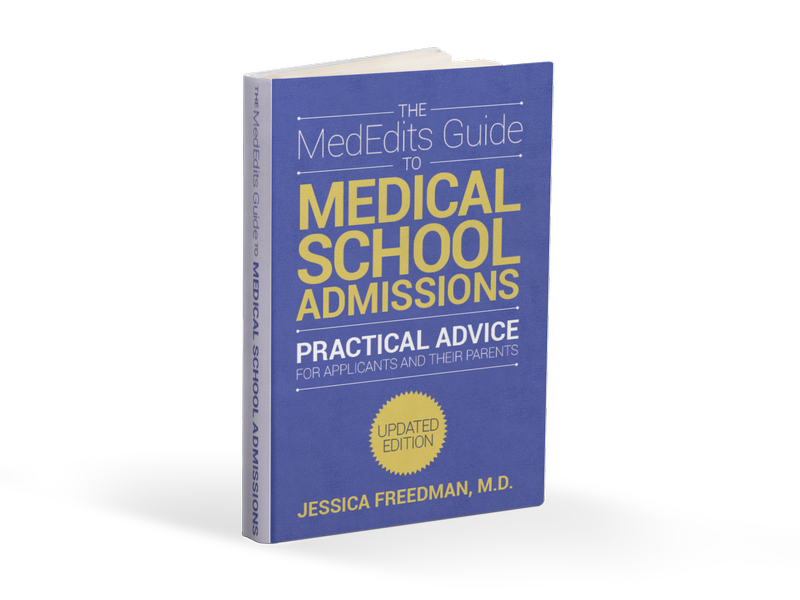 The MedEdits Guide to Medical School Admissions. Use this top ranked amazon.com book as a further recourse. See Dr. Freedman’s secondary essay directions and examples.